The conversation around augmented reality has largely been focused on apps and gaming, and how AR can be used as a marketing tool. However, a new exhibit at France's Scène Nationale Albi is using AR for more artistic expression. The exhibit, entitled Mirages & Miracles, combines real life installations, such as sculptures and drawings, with AR technology. The two interacting is beautiful and fascinating. 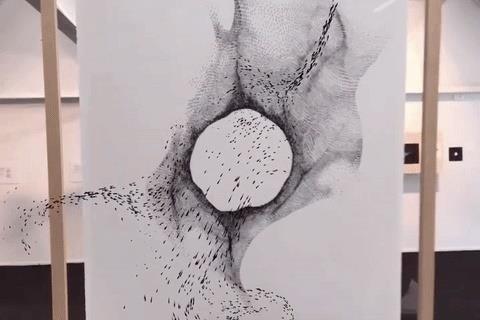 Take for example, the piece below which features real rocks combined with sketches. Slide on a headset (most likely the Microsoft HoloLens), and see a small silhouette skipping over the rocks. That might just be the most beautiful description of AR I've ever read. As Mark Wilson of Co. Design points out, this exhibit feels special because it's "handmade art that comes to life" rather than something mass produced, like a video game. 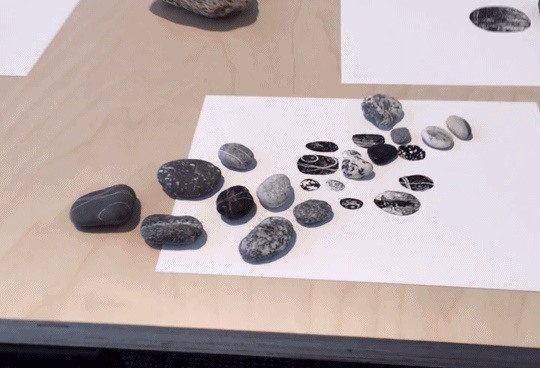 This use of AR in art points to exciting things for the future, as the technology branches out from its current state, and people begin to use it for more unconventional applications. Mirages & Miracles runs in France until April 8, but you can glimpse a walkthrough of the exhibit in the video below.